Losing weight may not be just about WHAT you eat but WHEN you eat it, according to a new study. Participants in the study who ate a bigger meal later in the day lost less weight than those who ate earlier. Study authors Marta Garaulet and Dr. Frank Scheer, director of the medical chronobiology program at Brigham and Women’s Hospital in Boston, followed 420 people in Spain during a 20-week weight loss treatment program. The participants were split into two groups – early eaters who ate lunch before 3 p.m. and late eaters who ate lunch after 3 p.m. In Spain, lunch is the biggest meal of the day, comprising about 40% of a person’s daily calories. The early eaters, on average, lost 25% more weight than the late eaters over the course of the study, according to Scheer. The study authors found no difference in the groups’ weight loss based on breakfast and dinner timing. They also looked at energy expenditure, dietary composition, appetite hormones and sleep duration. These factors were similar in both groups, leading the authors to conclude that the timing of the large meal was the source of the sluggish weight loss. The study was published Tuesday in the International Journal of Obesity. Did you know your fat tissue has a built-in clock? In fact, the majority of cells in your body run on a 24-hour schedule, Scheer says. The combination of all these body clocks is called the circadian system, and it’s controlled by a group of cells in your brain’s hypothalamus. But the “clocks” in individual organs’ cells can be altered by daily activity that doesn’t affect the control center. For instance, researchers have found that feeding animals during abnormal times can “reset” the clocks in their liver and pancreas, which are key to optimizing metabolism. When this happens, the brain’s central clock remains on schedule. This can result in a de-synchronization between the two. “That then could lead to abnormal weight gain or a decrease in weight loss,” Scheer says. Part of this could be due to the body’s ability to handle glucose, the type of sugar that usually comes from carbohydrates. Late eaters in the study showed significantly higher HOMA levels, an index of insulin resistance that’s used to identify diabetes. Researchers have identified several genes that may play a role in obesity and sleep cycles – i.e. whether we’re early risers or night owls. One gene called the CLOCK gene affects our circadian rhythms. A rare variant of the gene – the “c” allele - has been linked to obesity. This minor allele was more common in the study’s late eaters. This gene could cause them to want to eat later in the day, Scheer says. The late eaters in the study often ate less for breakfast or skipped breakfast all together. Past studies have shown that’s a recipe for diet disaster. Fasting for too long can put the body into so-called “storage mode.” People who skip breakfast are also more likely to overeat later, although the study authors did not find a significant difference in the overall calories both groups ate. There are limitations to these results. The study was observational, meaning the researchers asked participants to record their own meals. Observational studies can link two items – like meal times and weight loss – but can’t show cause and effect. The study needs to be verified with a randomized controlled trial. That said, planning your meals for earlier in the day couldn’t hurt. “We should really seriously consider the effect of not only what we eat, but when we eat,” Scheer says. Try to follow the King, Prince, Pauper rule: eat breakfast like a king, lunch like a prince and dinner like a pauper. Thanks for sharing your info. My Uncle turned me onto your blogs. Thank you! Your article is absolutely on point! Kudos. I just saw your blogs on Saturday. I know old school Reddit pros would love this. You pretty active on LinkedIn? You are absolutly an expert. You are a very persuasive writer. You have a lot of knowledge on this topic. 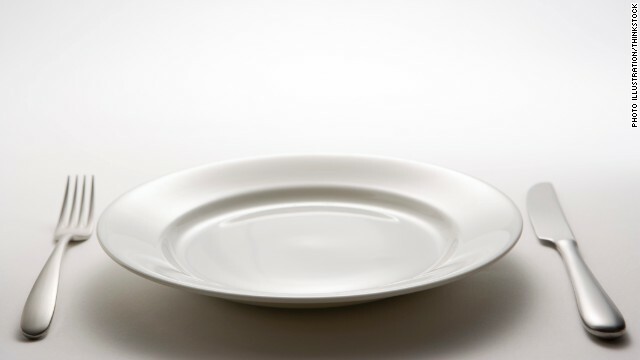 Meal times may affect weight loss success – The Chart – CNN.com Blogs Anuncie e Venda Rápido no Maior Site de Classificados Grátis do Brasil. Anúncios Totalmente Gratuitos Indexados pelo Google! Acesse http://www.anunciosbr.com.br Anuncie, Divulgue, Compartilhe! Somehow you make time stop and fly at the same time. I really like your writing style.